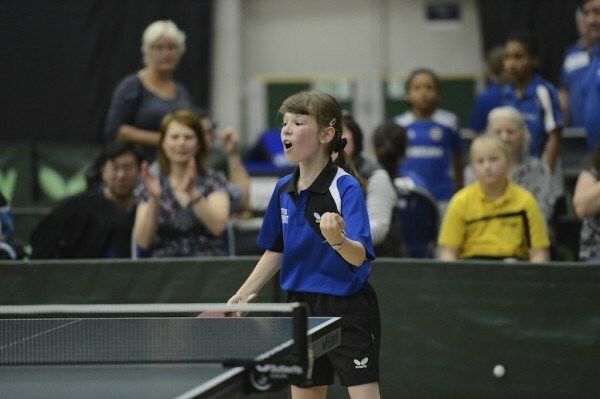 Charlotte Bardsley says she is proud to have won her first national title after battling back from the brink of semi-final elimination to take the Under-12 girls’ singles trophy on a day all four top seeds triumphed in the U11-U14 Nationals. Woodfield TTC player Bardsley was in top form as she marched into the last four in Doncaster without dropping a set. But the top seed found Alice Dillon a different proposition as the Lancashire player quickly opened up a 2-0 lead. Bardsley rallied to edge a nervy third end before pulling ahead impressively to clinch the tie 3-2 (6-11, 3-11, 11-9, 11-7, 11-5). Her final performance against Middlesex’s Amelia Chan was full of control by comparison as she maintained a steady advantage throughout. Having taken the first two games, the top seed let a solitary match point slip in the third before finally sealing her title in the fourth to close the event with a 3-1 (11-7, 12-10, 10-12, 11-5) win. “I feel really happy and proud,” said Bardsley. “I thought I was buried in the semi-final, but when I won the third set I got my confidence back and focused a bit more. Her final opponent Chan had previously overcome her own five-end battle in her quarter-final with Danielle Kelly but despite that win and a 3-0 semi-final triumph over Katie Holt, she was unable to match Bardsley at the final hurdle.